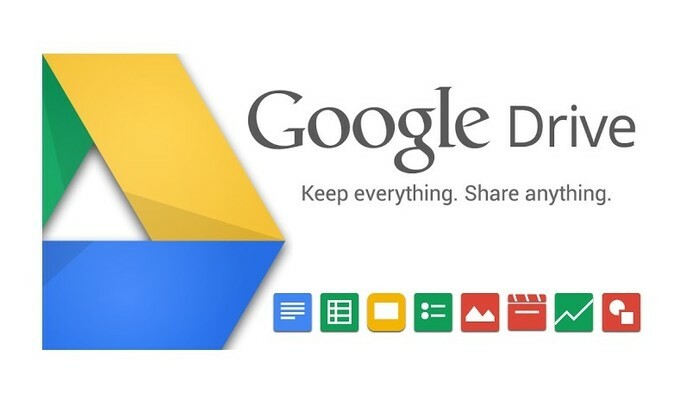 Share Your Files Using Google Drive > Apeetogosan (Métis) Development Inc. & Pinnacle Business Services Ltd.
More and more client’s are deciding to share files using google drive and it’s no surprise why. It’s easy, quick and instant. Be sure to have the correct email address and enter it. After entering the recipient’s email address be sure to click on the drop down menu and select “Can organize, add & edit”. 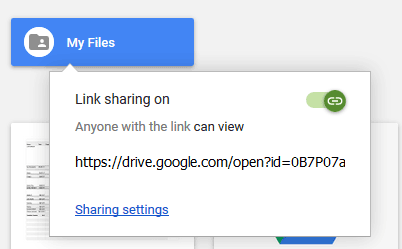 This is what allows you to share your files with anyone – whether they have a google account or not as you will see in the next step. Be sure to click on the drop down menu and select “Can organize, add & edit”. 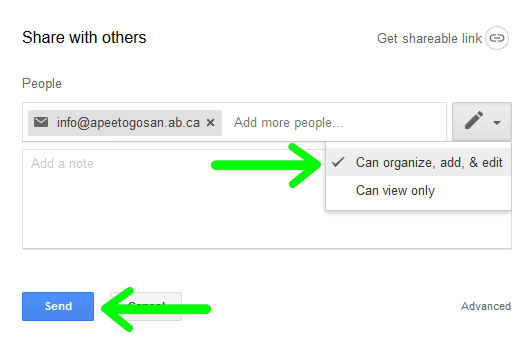 Once you hit send after selecting “Can organize, add & edit” Google will notify you “1 (or more) recipient doesn’t have a Google account”. This is fine, select the second option “Send the Link (no sign-in required)”. 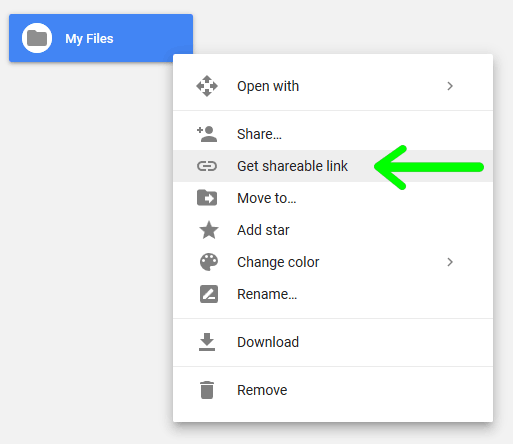 Your file or folder is now being shared and anyone with the link will be able to save files or add files to your folder. 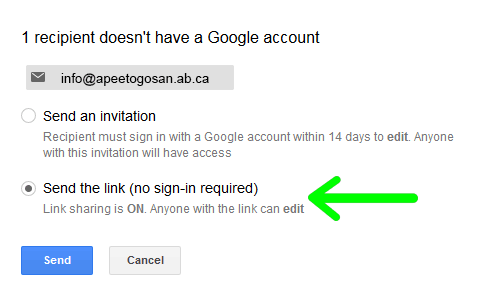 You can always change your settings or get the link to send again by right clicking on the file or folder. Clicking on “Sharing settings” will bring up the dialog box below. 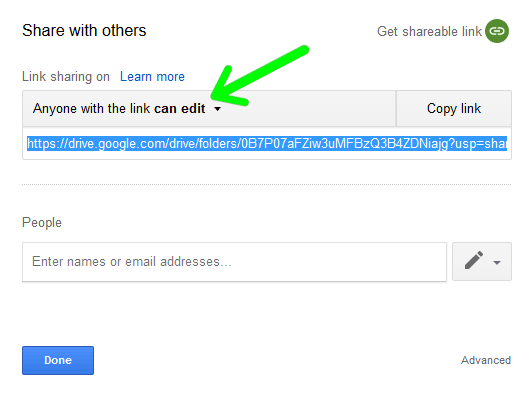 If you need to, you can change your sharing options. You can change your sharing options.